Anantara Phuket Layan Resort & Spa is the latest hideaway that offers guests a new chapter of unique experiences in unsurpassed luxury, surrounded by natural exclusivity in the world famous beach resort of Phuket, Thailand. Situated on the northwest coast of Phuket in an intimate and unspoiled corner of the island, the resort nestles the picturesque Layan Beach at the serene, far end of Bang Tao Bay, a mere 20 minute journey from Phuket International Airport. 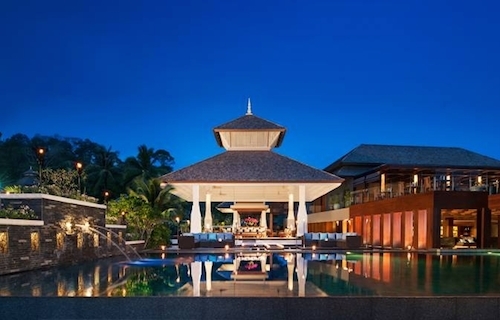 Peacefully secluded, Anantara’s second Phuket resort offers the best of both worlds, as guests can stroll along a tranquil stretch of white sand to Laguna for lively bars and boutique shopping. The island’s bustling southern beaches and city centre are only a 35 minute drive away. Anantara Phuket Layan’s contemporary design is inspired by Thailand’s indigenous charms. It is surrounded by lushly exotic landscapes and towering coconut trees on one of the least developed and most beautiful beaches on the island. Here crystal blue waters meet with silk sands that lead to acres of native beachfront vegetation and quiet natural enclaves, creating the ideal environment for pure relaxation. 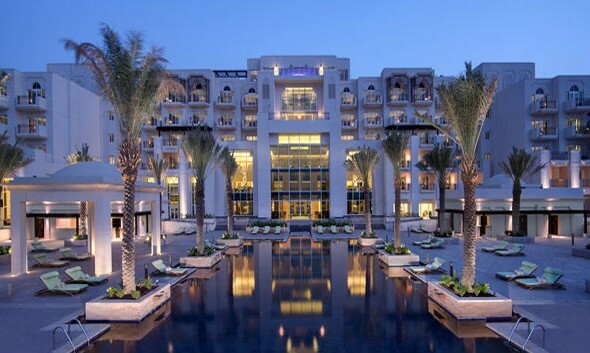 The splendid new resort offers nine different room types across 77 luxurious suites and villas on 400 metres of secluded beach, including a Two Bedroom Family Pool Villa, two Two Bedroom Pool Villas and a vast 485 square metre Anantara Pool Villa. With direct beach access, a private pool and extensive outdoor areas of more than 200 square metres, the Anantara Pool Villa is the ultimate tropical island retreat, accommodating up to six adults. Seamless style is achieved with contemporary interiors featuring local accents in every room and all the comforts from home, and more, are provided by an iPod docking station and an Apple television through which videos and movies can be streamed from guests’ iPhones or iPads. A custom stocked wine cabinet and in-room bar, a Nespresso machine, tea facilities, complimentary high-speed internet access and a selection of books for leisure reading complete the sumptuous accommodation. The 47 villas each boast a private pool and, to further enhance the experience, all villas are indulged by a discreet yet attentive personal Villa Host 24 hours a day. Guests at Anantara Phuket Layan are spoilt for choice when it comes to wining and dining with a host of venues, each offering a distinctive setting, menu and ambience. Phuket is already well known for its fresh, succulent seafood and the resort’s menus scrumptiously reflect this. Sala Layan, the all-day dining restaurant, offers a lavish breakfast buffet with live cooking stations, the best of eastern and western favourites and a vitality food selection throughout the day, as well as Phuket’s most decadent Sunday Brunch. At the Deeplee signature restaurant, authentic Thai cuisine from around the Kingdom is deliciously articulated with divine flavour pairings of intricate creations that have been carefully perfected to flawlessly blend spice and zest. The Asian flavours extend to the adjacent cliff edge Infinity Bar, where exceptional views, exquisite cocktails and sumptuous Thai tapas exemplify the best that Southeast Asia has to offer. And for those who prefer the blissful ocean breeze and cool waters, the Breeze pool bar offers inventive cocktails, revitalising fresh juices and light poolside snacks to fuel a day lounging in the tropical sun while Sunshine Butlers are on hand with fruit skewers and cold face towels to cool sunbathers down. Anantara’s signature guru experiences are all around and a simple request to ‘pass the salt’ gets a whole new meaning as the Salt Guru helps diners to pair their food with the perfect seasoning from an impressive selection of no less that seventeen salt varieties. Connoisseurs will delight in one of the most balanced and diverse wine collections in Phuket and regular tasting sessions by the Wine Guru offer guests a tantalising journey through the vineyards of the world, including the best of Thailand. The resort also has a Chang (Thai for elephant) Children’s Club for younger guests of 12 and under, which offers daily complimentary supervised activities including full and half-day programmes, as well as a Kids menu, cooking classes and a ‘Little People’s’ Spa menu. At Anantara Phuket Layan wedding celebrations are redefined by a destination of natural exclusivity, and perfected in Anantara’s signature style with an idyllic choice of settings – from a unique cliff edge open chapel where a spectacular ocean backdrop promises magical photo opportunities, to a tropical beachfront bliss with the Andaman’s waves as the wedding march. The Anantara Spa is a tranquil escape steeped in exotic rejuvenation and deep relaxation. Offering a therapeutic range that combines traditional Asian therapies and luxuriously pampering Elemis products, all spa treatments are delivered by highly skilled and comforting hands. The spa comprises of seven treatment suites and manicure and pedicure studios. In addition to the hotel, a high end residential project is under development on an adjacent hillside with panoramic views of the Andaman Sea. 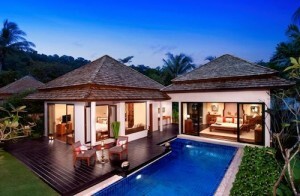 Anantara Residences Phuket Layan will consist of sixteen expansive units ranging from two to five bedrooms.